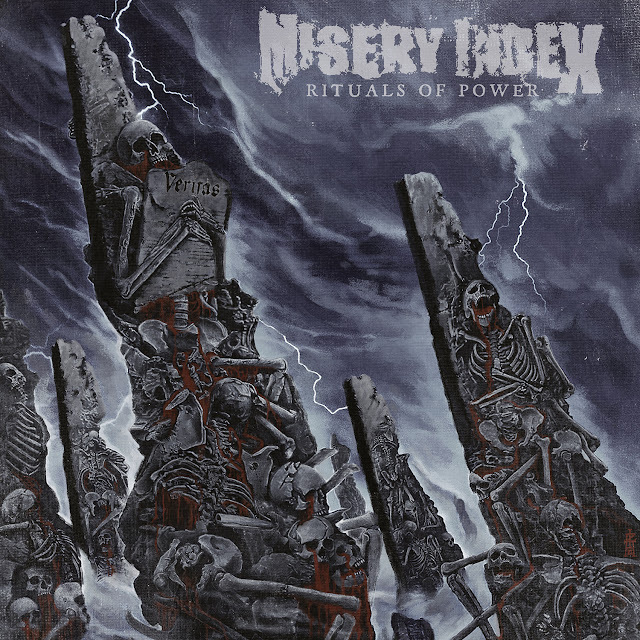 American death metallers, Misery Index, are about to unleash their sixth studio record, "Rituals Of Power" on March 8, 2019. "The album artwork was created by Raphael Gabrio of Insane Visions," the members of the Baltimore-based band comments. "He did a fantastic job realizing our aesthetic dream." Regarding the cover concept, Gabrio (a Brazilian artist that has produced imagery for bands like Napalm Death, Batushka, Laconist, among others) explains that "the idea was to illustrate a devastated landscape featuring the last remaining monuments of a collapsed mankind at the brink of extinction." 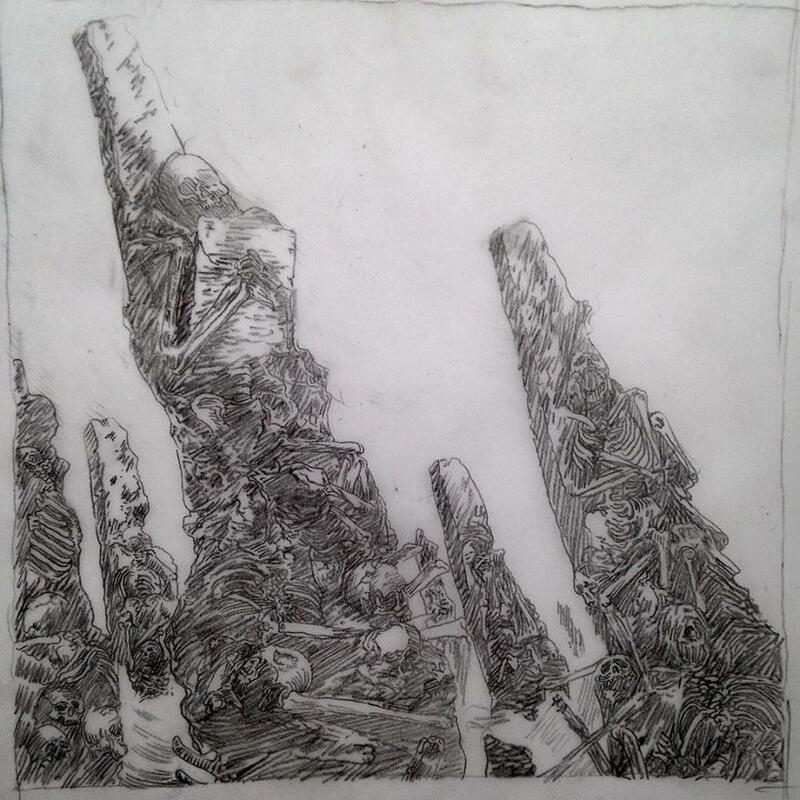 He also explains that "when I started doing the sketch process I was heavily inspired by [film directors] Terry Gilliam and Ridley Scott's post apocalyptic scenery. So, once I got all the details plus the band's idea, I began doing a rough sketch for myself to see if this was the right direction. Then I redid a more elaborated sketch and went from there." The original image is a mixed-media piece and measures 10x10 inches. "For this art I used paper and pencil for the sketch. Later, I scanned and digitally painted the cover, I used an acrylic brush set." Misery Index's "Rituals Of Powers" can be pre-ordered via Season of Mist. Listen to the title track here. 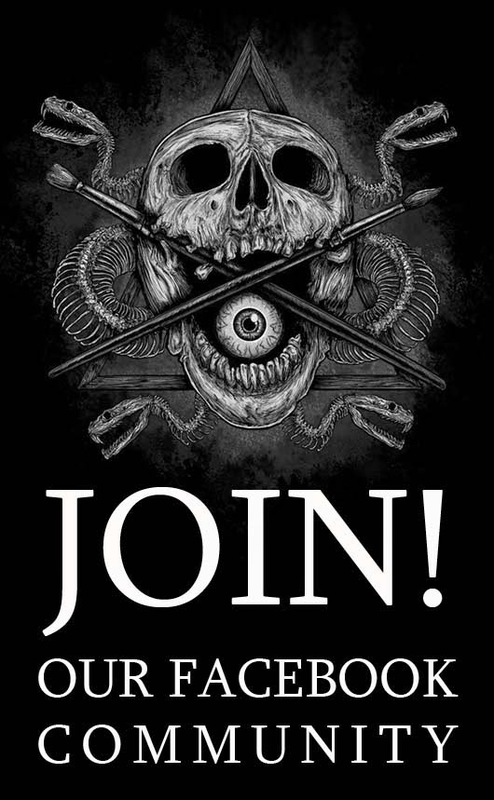 Visit Raphael Gabrio's Insane Visions via Facebook and Instagran.